On tonight’s Christmas Eve, millions of children will leave out cookies and milk for Santa Claus to enjoy, but do you know how Santa’s milk and cookie tradition began? Or at least this is one version of the origins of the tradition. What are your thoughts? Do you know of any different tales as to the start of this delicious tradition? Will you be leaving our cookies and milk for Santa Claus tonight and if so what kind does Santa prefer at your household? What are some of your Christmas traditions? Share with us in the comments section below. 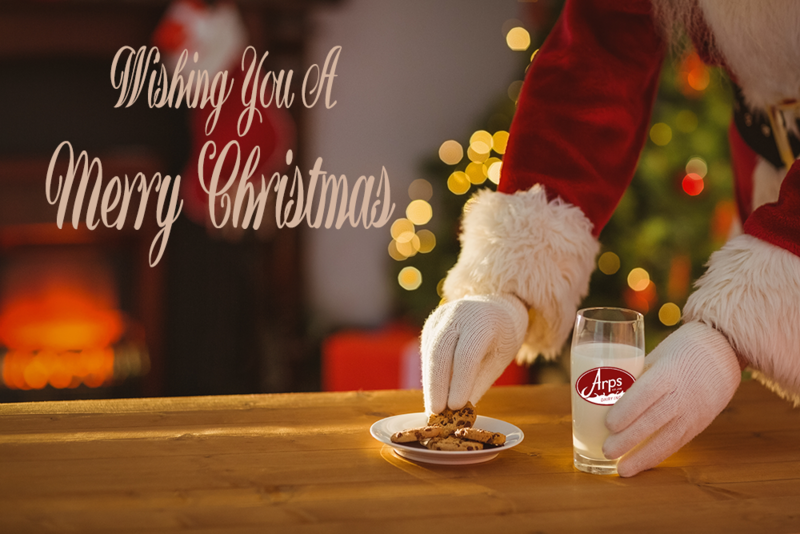 And, from all of us as Arps Dairy, we wish you and your family a very merry Christmas and a joyous new year!